It’s a good thing this is the Holiday Season, as Mother Nature seems to be putting a damper on most weekend fishing adventures. The last three weekends have been either Windy or Rainey or both, and guess what, so is the forecast for this coming weekend. I only read one report regarding any 1.5 or 2-day trips over the weekend, which was the Voyager, which caught 65 Lingcod and 65 Red Snapper on their 1.5-day trip returning Sunday, 11-13-11. Private boater’s reports are almost extinct, other than some successful hooping reports and their by catch before dark and in between pulling sets! Fortunately there are a few die hard fishermen out there, including my good friend Bill who invited me down to Rosarito during an excellent weather window Tuesday and Wednesday. We fished the Finger Bank, some 40 miles south of Point Loma, but only 10-12 miles out from Las Salinas where Bill keeps his 18’ Trophy. We easily limited out on Big Reds, along with assorted other Rockfish, Bank Perch, Coppers, Barber Poles, Johnny Bass, Santa Marias and Starries. Only one short Lingcod was caught this trip. On our first few drops we were harassed by the Giant Squid, although only about eight pounders, we kept two. We just couldn’t get to the bottom without being stopped by the Calamari. Yet if you could get by the Squid, a Big Red was there hungry and eager to eat our lures. An hour into our fishing I was reeling up a nice fish, and got hammered by a Shark, who unkindly took my Fish, shrimp fly and Jax jig with him. Bill came up shortly thereafter and he hooked the Shark, brought it closer to the surface, where we could see it was easily over 100 pounds, but could not determine what kind it was. Bill setup a Shark rig, where he used the live Mackerel we had with us. About 15 minutes later game on. A nice 20 minute fight ensued, and up comes a Blue Shark, which was released. Later I spotted a Thresher Shark flash by Bocaccio as I was bringing it up from the depths. Bill put back out the Shark Rig and caught the 60 pound Thresher Shark. We moved into the shallows for some Bass fishing, and were not disappointed, catching and releasing 20+ Sand Bass to five pounds, a half dozen Calico Bass to 2.5 pounds, a nine pound Halibut (kept) and many other assorted Rockfish, all released. What a fantastic day on the big pond, with spectacular weather all morning. At Catalina, -There were no reports of Exotics from the Island this week, although some schools of Yellowtail were spotted. There was a report of some big schools of Barracuda on the backside of the Island, with fish caught on the surface iron. 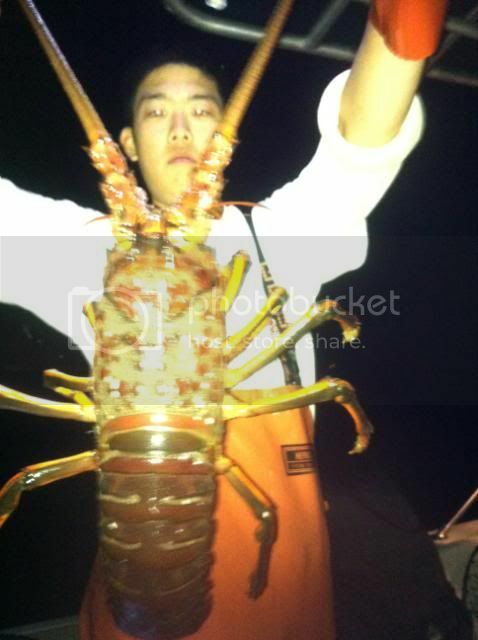 At San Clemente Island, -Private boater Dave fished Thursday, 11-17-11 on his 28’ Farallon. 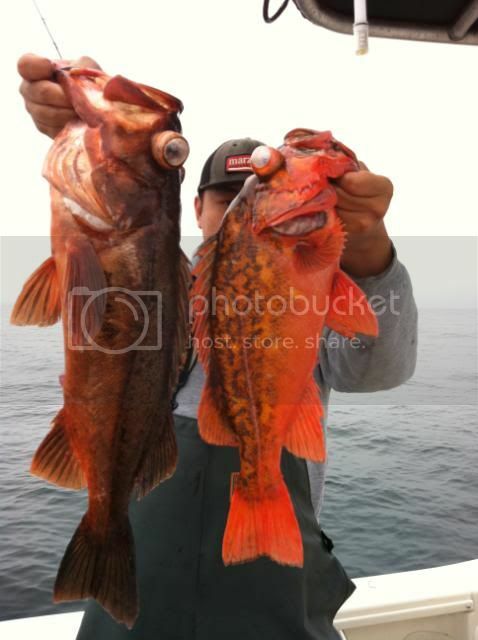 The five of them had limits of Rockfish with about ¾ of them big Reds to 7 pounds. 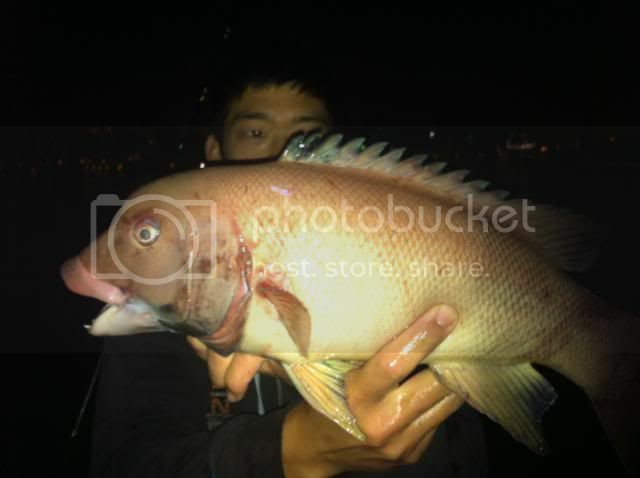 On the local scene, There continued to be some decent Calico and Sand Bass fishing out of both Long Beach and Dana Point this weeks as long as they had live squid, which is being made off of Newport and Dana Point. For example the Sum Fun had 145 mixed Bass on their Tuesday, 11-15-11 trip. The ¾ day boat Sea Angler is running Sand Dab and Rockfish specials daily, whenever they can get enough anglers to make a run. The ½ boat Redondo Special caught 1 Whitefish and 124 Rockfish on their trip Wednesday, 11-16-11, for 18 anglers, while the ¾ day boat Tradition is out for re-powering. The ½ day boat New Del Mar caught 25 Rockfish, 1 Lingcod and 48 Sculpin on their trip Wednesday, 11-16-11, out of Marina Del Rey, for 16 anglers. 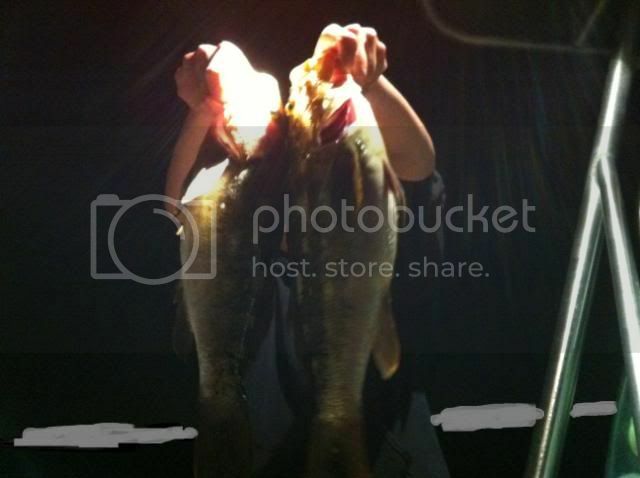 The Spitfire caught 1 Sheephead, 126 Rockfish, 5 Lingcod and 70 Sculpin on their trip Tuesday, 11-15-11, for 14 anglers. 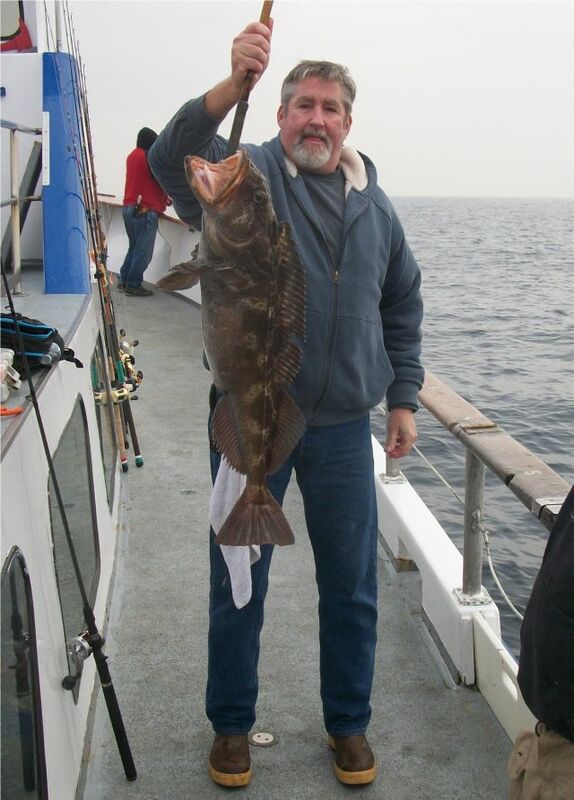 The 3/4 boat Betty O caught 100 Rockfish, 3 Lingcod and 1 Sole for 14 anglers on Sunday, 11-13-11. The Freelance ran a ¾ day trip out of Davey’s Locker on Thursday, 11-17-11, with 31 anglers catching 10 Calico Bass, 32 Sand Bass, 7 Sheephead, 15 Perch, 38 Sargo and 3 Cabazon. The Western Pride, out of Davey’s Locker, fished Monday, 11-14-11, with 23 anglers catching 4 Calico Bass, 17 Sand Bass, 20 Sheephead, 2 Whitefish, 10 Rockfish, 1 Sculpin, 3 Sargo and 1 Cabazon. The ¾ day boat Patriot out of Newport Landing caught 1 Halibut, 16 Calico Bass, 65 Sand Bass, 2 Sheephead, 1 Whitefish, 5 Rockfish, 5 Perch, 50 Sargo and 1 Cabazon on their Wednesday, 11-16-11, trip for 22 anglers. The ¾ day boat Sum Fun out of Dana Wharf caught 36 Calico Bass, 109 Sand Bass, 20 Sheephead, 2 Sculpin, 24 Perch and 49 Sargo on their Tuesday, 11-15-11, trip for 26 anglers. The ¾ day boat Dana Pride also out of Dana Wharf fished on Friday, 11-11-11, with 85 anglers catching 21 Calico Bass, 5 Sand Bass, 30 Sheephead and 1 Sculpin. The Enterprise out of Long Beach Marina Landing caught 15 Sheephead, 44 Whitefish, 3 Sculpin, 1 Perch and 110 Red Snapper for 11 anglers on their trip Wednesday, 11-16-11. The ¾ day Victory out of Pierpoint Landing caught 21 Sheephead, 10 Whitefish, 30 Bocaccio (limits) 101 Rockfish and 3 Sculpin on their trip Sunday, 11-13-11, with 15 anglers. The ½ day boat Southern Cal caught 1 Calico Bass, 1 Sand Bass, 38 Sheephead, 115 Whitefish, 22 Rockfish, 9 Sculpin and 23 Perch on their ½ day trip Wednesday, 11-16-11, with 17 anglers. The ½ day boat San Pedro Special out of 22nd Street Landing ran a morning trip on Sunday, 11-13-11, and the 18 anglers caught 36 Bocaccio (limits), 32 Rockfish, 54 Sculpin and 55 Sand Dab. The ¾ day boat Sea Angler fished on Wednesday, 11-16-11, and the 27 anglers caught 16 Bocaccio, 165 Rockfish, 10 Sculpin, 2175 Sand Dab and 2 Sole. The Pursuit out of 22nd Street Landing ran a full day trip to Catalina on Sunday, 11-13-11, and the 25 anglers caught 34 Calico Bass, 44 Sheephead, 22 Whitefish, 50 Bocaccio 9limits) 112 Rockfish, 173 Perch and 19 Red Snapper. The ¾ day Sport King out of LA Harbor ran a trip on Monday, 11-14-11, with 12 anglers catching 24 Bocaccio (limits), 45 Rockfish and 44 Red Snapper. The ¾ day boat San Diego ran a trip on Sunday, 11-13-11, with 21 anglers catching 7 Whitefish, 44 Rockfish and 6 Sculpin. The Indian is running full day Rockcod trips to the Finger Bank and Points south of the border. They did not have enough anglers to run on Wednesday. The weather forecast for the weekend looks ugly calling for rain and high winds on Saturday and wind on Sunday, that’s three weekends in a row with poor forecasts, bummer! Always check the latest forecast before leaving the dock.